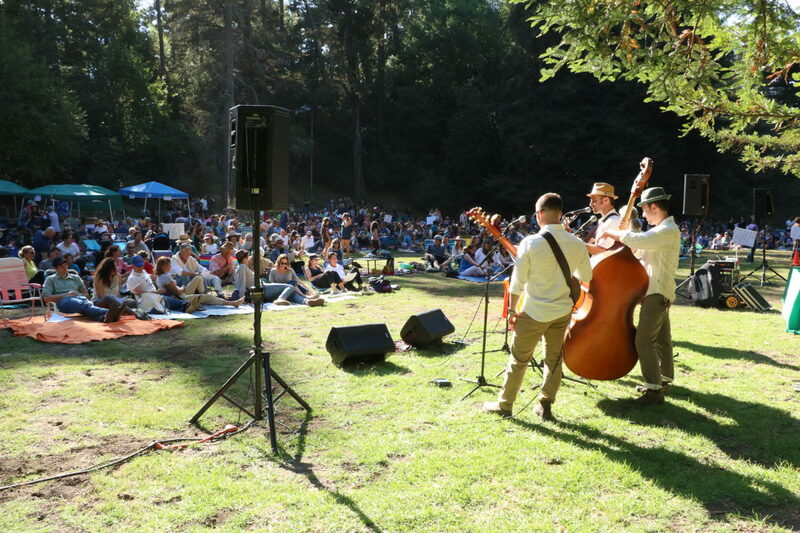 Honors, happenings, comings & goings — Sept. 2018 – J.
Organizers of Camp Tawonga’s annual outdoor Rosh Hashanah gathering — a holiday observance and earthy celebration held among the redwoods in Joaquin Miller Park in Oakland — say they had their biggest attendance yet, with 1,246 people registering for the event in advance and dozens more getting tickets at the site. As always, it was a multi-generational crowd, including grandparents with children and grandkids. Tawonga officials said most of the attendees were former campers and staff alumni, though about 5 percent were new to Tawonga. 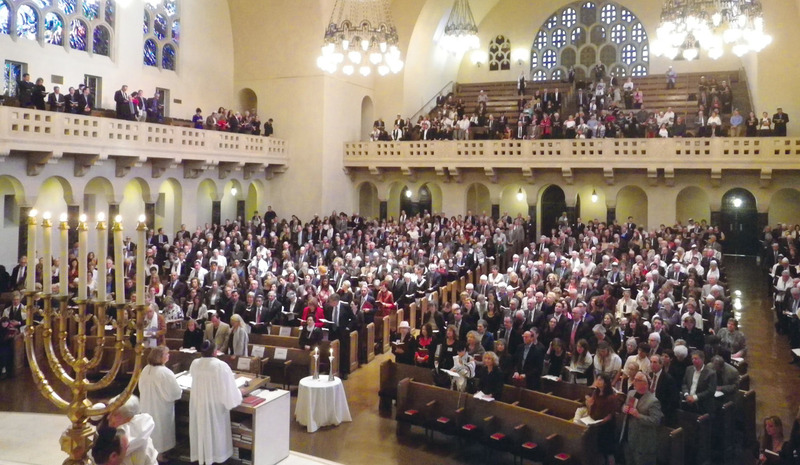 The event was held from 3 to 5 p.m. on Sept. 9, allowing participants to attend Erev Rosh Hashanah services at synagogue afterward. Two teenagers from Palo Alto were installed on BBYO’s international board in August. Noga Hurwitz, 18, a graduate of Palo Alto High School, is the organization’s new international teen president. Miles Bader, 17, of Gunn High School, was installed as international teen vice president of communications and globalization. They are part of a 12-member teen board that will lead BBYO, which has 21,000 Jewish teen members from throughout North America, for the next year. Adam Jaffe of Jaffe-Schlossberg won a trip to Costa Rica by capturing the top prize in SF Hillel’s seventh annual Irwin Bear Poker Tournament. Co-chairs for the tournament were Joe Levin and Jordan Sills, past board members at SF Hillel and members of a weekly poker group hosted by Bear, a textile company owner who died in 2010. A contingent of loud and proud sign-waving Bay Area Zionists marched Sept. 9 in the Solano Stroll, an annual street fair held on Solano Avenue in Berkeley and Albany. It was the first time such a group has ever participated in the event. Two Bay Area women have been elected to the board of directors of American Friends of Tel Aviv University. Anita Friedman, who is executive director of S.F.-based Jewish Family and Children’s Services, and Luba Troyanovsky, a leader in the local Russian-speaking Jewish community, are the new board members. Friedman also is board president of the Koret Foundation and a trustee on the national boards of other organizations including AIPAC. Troyanovsky is the principal of Solaris LLC, a California real estate development and investment corporation, and also serves as vice president of the board for JFCS and as a member of the Northern California AIPAC board. American Friends of Tel Aviv University, based in New York, has raised money for and global awareness of TAU since 1956. Moran Zilbershtein is the new economic attaché for Israel’s Economic Mission to the West Coast, replacing Gili Ovadia. 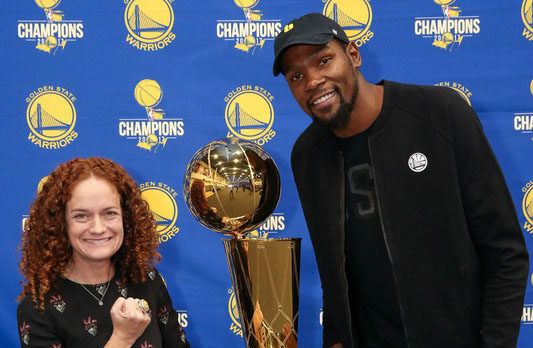 Zilbershtein, who began her S.F.-based job in August, spent the previous 2½ years in Israel’s Foreign Trade Administration (working on trade agreements with China) and also in Israel’s Ministry of Economy and Industry. Before that, she was co-founder, as well as marketing and community manager, of the Israeli Air Force Alumni Institute. She is an attorney and a graduate of Tel Aviv University. Ovadia had been in the post for five years. The Economic Mission’s focus is enhancing trade relations between the West Coast and the Israeli business community. Cantor Barry Reich, who recently retired from Peninsula Temple Sholom in Burlingame, is joining Congregation B’nai Emunah in San Francisco as head of the synagogue’s Hebrew school. He will join teacher Sima Krames in working with students. Fred Astren has retired as chair of the Department of Jewish Studies at San Francisco State University, but will continue to teach courses at SFSU for one semester a year for the next five years. Astren, 65, is writing a book on Mediterranean Jews in the early Middle Ages; as a scholar, he has focused on Jewish history under Islam, Jewish-Muslim relations and the Karaite Jewish sect. Berkeley native Johanna Pfaelzer will be returning to the Bay Area to become artistic director of Berkeley Repertory Theatre starting with the 2019-20 season. She has spent much of the last two decades (including 11 years as artistic director) at New York Stage and Film, where she helped develop shows including “Hamilton.” Pfaelzer will succeed Tony Taccone, who has been artistic director at Berkeley Rep for the past 21 years. Pfaelzer’s parents met as college students in Berkeley and she lived there for several years as a child. From 2003 to 2007 she was associate artistic director of American Conservatory Theater in San Francisco. 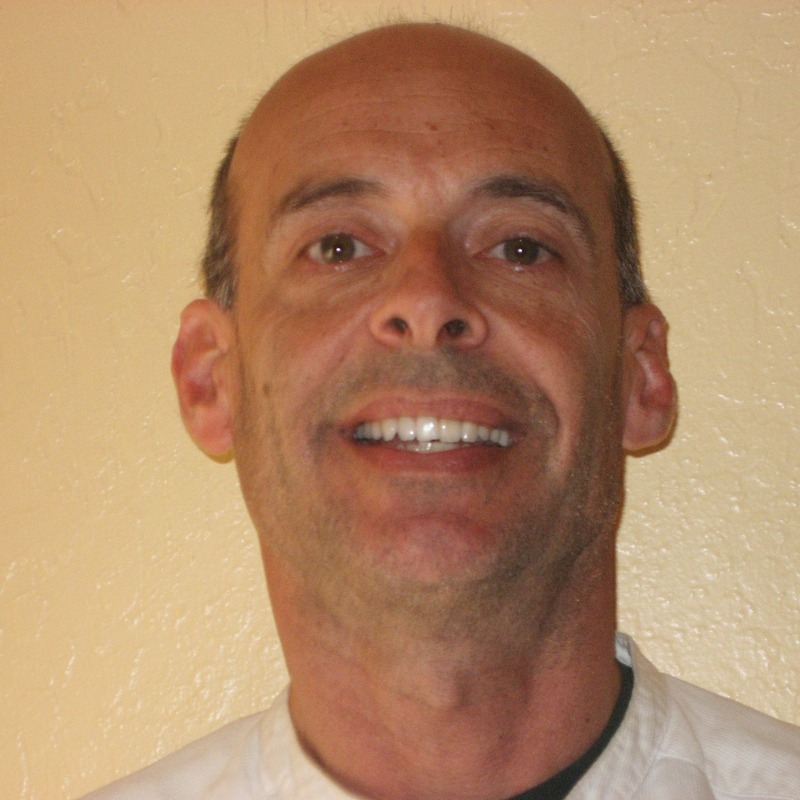 Joel Lewison has been hired as the first marketing coordinator at South Peninsula Hebrew Day School in Sunnyvale. He recently moved to the Bay Area from Chicago, where he worked in radio broadcasting and began working on a master’s degree in communications at Illinois State University.